The Phil’s Gang membership gets you full access to all the training tools necessary to learn Phil’s approach to the stock market and how to utilize the MV 1 and MV 2 charts. New Member Intro, Class & Updates, Phil’s Tool Box and much more! 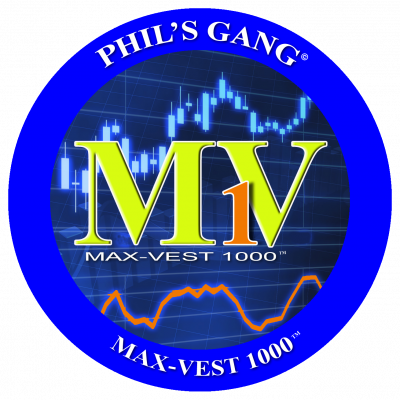 The MAX VEST 1000 charts are NOT included with membership. Thank you Mark, We hope you are loving the new site! Our pleasure! Amd thank you for your support!! The best teaching platform available hands down. Spread the word Andrew, and thank you! good job, I like the service . Let us know if there is anything we can do to improve our site and service, thanks for being a Gang Member or chart subscriber! Thank you for being a loyal Gang Member! I’ve read Stan Weinstein’s book, subcribed to IBD and tried everything for a little trading edge. Phil Grande will do much more than teaching but will give you the big picture. Hands down the best in the business for a fraction of the cost just prepare to spend time learning you’ll do excellent. I’m happy I found you ! We are happy you found us as well, glad you are learning and wish you the best of success with the Gang! So glad to see that you are learning from Phil and that you are listening! 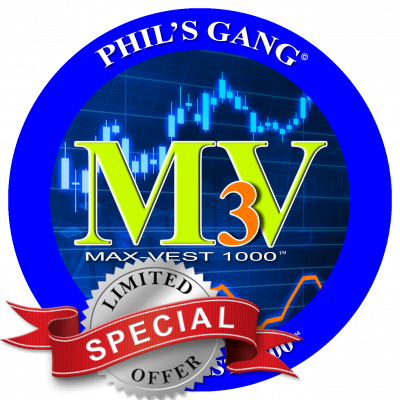 Thank you for your kind words Ronnie and thank you for continuing to listen to Phil’s Radio Show and for being a loyal Gang Member! Hearing Phil on the radio makes me mad! Not because he offends me but points out the truth. I did some training with another company. They gave good info, but didn’t have something for your average joe to follow like Phil does. And the motivation for Phil is to help St. Jude’s. Back with the gang no one does it better. After being a gang member for two years now, & aside from the great daily teaching these guys provide, I find all the instructional video’s & tutorials to still be a great knowledge base after hours. No matter how long you have been a gang member, I would recommend reviewing the archived video links & tools over & over as you pick up on more & more every time you review. Everyday there is a piece that fits the puzzle to this outstanding base of knowledge Phil & his team provide! !